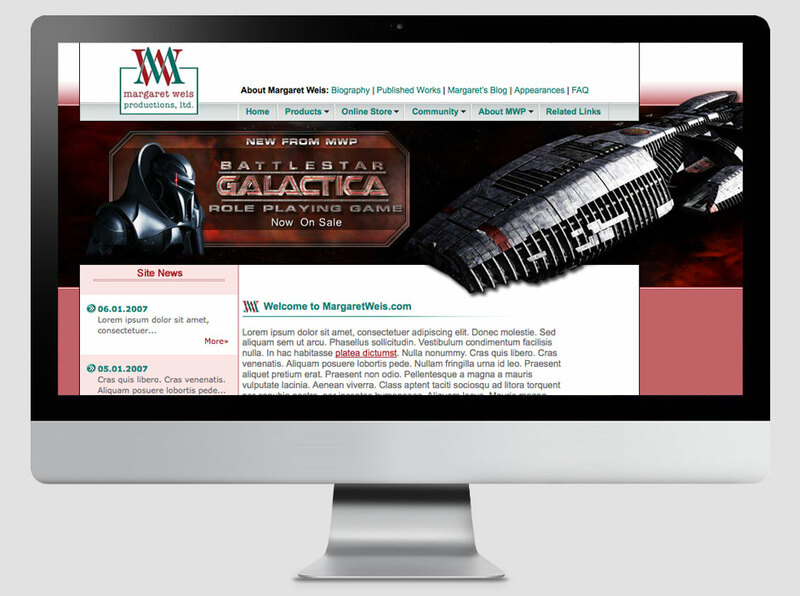 In 2007 Margaret Weis Productions commissioned me to build their new website for MargaretWeis.com. This was the first site I created with a prepackaged CMS running in the backend; I used e107. Unfortunately the site I designed for them is no longer live, but I’m able to present this pre launch version of the site.